A basic question that homeowners face when installing gutters is whether to use an open gutter or one with a guard. A gutter guard is designed to stop leaves, debris and other materials from falling into the gutter and preventing the free flow of water. A primary consideration in going for a gutter guard is the added costs to the gutters. The extra expense in the initial installation of gutter guards is offset by its short and long term benefits. Cleaning gutters can be hazardous to your health as when you slip off the ladder or roof and sustain injuries. The reduction of maintenance work and expenses brought by an effective gutter protection system justifies its added cost. Gutter Guards. Broadly speaking, devices used to cover gutters and protect them from being clogged by dirt and debris are commonly referred to as gutter guards, gutter covers and gutter hoods. While the designs and functions may vary, their objectives are the same to maintain the functionality of gutters to drain water into the downspout. These devices —are add-on systems that are put on top of gutters to deflect leaves and debris from entering and accumulating in the gutter and are attached through the use of nails or screws. Gutter Screens. Another type of gutter protection system are the gutter screens, which are made of different materials including plastic, steel and aluminum. They are placed on top of gutters to ensure the free flow of water by preventing debris from getting into the gutter. This gutter protection design is also called a mesh gutter guard because the sheets placed on top of the gutter is filled with holes, the sizes of which vary, that sift out debris but allow water to fall in. Gutter Inserts. While gutter guards and hoods are put on top of gutters, gutter inserts are placed in the gutter itself to repel leaves and debris while allowing the flow of rainwater to pass through the material. Gutter inserts are usually made of foam or rounded plastic bristles that do not affect the free flow of water in the gutter. 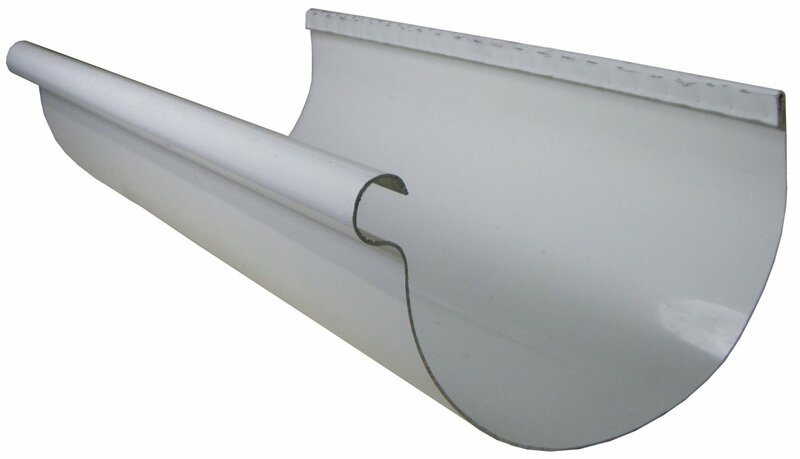 Among the gutter protection systems, gutter inserts are considered the least effective. Built-In Gutter Guards. Gutters with built-in guards are also available. These come pre-manufactured in one piece with a curved design that allows rainwater to travel down and enter the gutter while keeping leaves and debris out. This type is also called a reverse curve gutter guard. 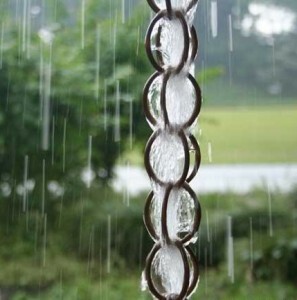 Gutters play an important part in preventing water from getting into your house. They protect the walls by preventing the buildup of water on the roof and leading it down the drain. To function as they are meant to be, gutters have to be free from obstruction that could prevent water from moving to the downspout. Gutter cleaning service tips will be discussed in this article to help you protect it from wear and tear, plus to avoid structural damage of the home. Several methods are available to keep dirt from accumulating in the gutters, including regular inspection and cleaning of debris found on the roof and gutters. Another way to prevent the accumulation of dirt in the gutters is through the installation of covers with distinct designs to keep them dirt and debris-free. 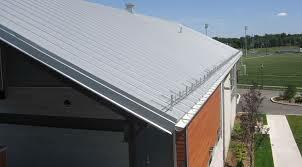 Different devices, each with their own method of protecting gutters from dirt, are available in the market. You must regularly clean the gutters to prevent the buildup of debris and other materials that could block the passage of water. Through time dirt, dust, leaves and twigs accumulate on the gutters and act as obstruction to the free flow of water. Regular cleaning helps ensure that your gutters remain obstruction-free and work properly by guiding water to the drain. This is one of the most common and popular choices to guard against gutter dirt and debris. Gutter screen is a fairly simple device. A screen is placed on top of the gutters, which catches most solid objects such as leaves, twigs and other materials but still allows water to pass through. Regular inspection is required since some leaves could get stuck on the screen, which you will have to manually remove. This device is made from hard materials such as aluminum, PVC or vinyl with small openings to allow water into the gutters from the roof. The hood, which covers the entire length of the gutter, provides more protection against objects since these cannot pass through the solid material of the gutter hood. Different designs of the holes or slits where water passes through create hybrid versions of this device, all of which are effective against the accumulation of dirt. A relatively new technology in gutter protection, this device requires the installation of a membranous material inside the gutters. The filter allows water to pass through it but keeps dirt and debris on top. When the rain stops the materials caught on top of the membrane dry up and are blown away by the wind. 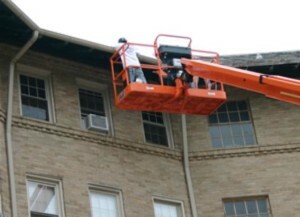 success of your business’s building gutter management. Below are prices that are typically charged for gutters of various types including one of the most purchased types gutter – half round gutters – and typical costs of gutter services, to help you better determine the proper amount to pay on your next gutter servicing arrangements. 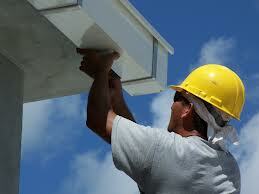 Prices related to gutters and gutter services are based on those of Jacksonville, Florida. First, why exactly are gutters useful? A gutter is strictly used to channel rain water away from the base of a house, as a way to protect it. In addition, it protects paint from getting damaged, basements from leaking and reduces erosion. As an existing business in Jacksonville, Fl., your business is subject to deal with many rainy conditions (especially in the summer) and having proper gutter types for this condition is critical, especially for the value of the building of your business and business cost of building repairs in the future (Basements and house sidings). Your preference of gutter material will result in the durability and prices of your gutter. Gutter materials includes: cast iron, lead, zinc, galvanized steel, painted steel, copper, painted aluminum, PVC (and other plastics), concrete, stone, and wood. Choose wisely, especially setting up a business in Jacksonville, Florida. On average, the cost of your lowest cost gutters (vinyl) per linear foot typically run between $2.73 – $4.43 in the Jacksonville, Florida including the half round gutters which are highly recommended by gutter services men throughout Jacksonville, Florida not only for its elegant addition to a home, but its ability to offer the least chance of cloggage and the least chances of being affected by snow and ice. Many Jacksonville, Florida businesses would prefer this type of the gutter, simply because of the amount of rain inches produced throughout the year in Jacksonville, and less cloggage means a better gutter supporter for such rainy circumstances. Other types of gutters that may be an option during a consumer’s search for gutters are “copper“, “steel” and aluminum, which are all common gutter types used by commercial business abroad. You may pay a little more for these gutters – anywhere between $5 – $40 per linear foot, but with these you are accessible to higher durability and longer lasting gutters. Your preference of types of gutters can be extensive, but with many options which to choose from, you are sure to get what your building needs or what you want to ensure proper gutter management for your building. Many companies offer fantastic gutter services in Jacksonville Florida, which not only provides gutter service, but installs any type of gutter preferred. A typical gutter service company in Jacksonville, Florida charges between $27 and $55 per hour and will allow customers to use their own purchased gutters, just as long as the gutters are in proper working conditions for particular business building at hand. To be clear that a gutter service company will work with your particular purchased gutters, call the gutter service company that you have planned to utilize, before actually purchasing your gutters for tips on which gutters are best for your situation. This way, you are sure they able to work efficiently and effectively with what you’ve provided. Half Round Gutters have been the best factor for “the least amount of gutter cloggage and one reason why so many Jacksonville businesses have resulted in its benefits. The many different types of gutters available are plentiful and have their durability factors, but as far as cost efficiency is concerned, vinyl will be your best bet. Gutters in Jacksonville should provide, the least amount of clog-gage and the greatest ability to penetrate rain flow, and as long as you are aware of these gutter choice determinants, you will be properly educated enough to make the smartest gutter choices in your specific situation. 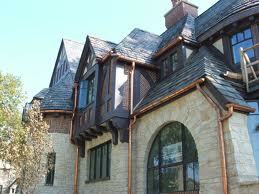 Copper rain gutters are typically used in the restoration of homes to give them a classier look. Copper gutters are installed to show their natural beauty, and they are known to last upwards of 100 years. Roofing experts will confirm that copper gutters cost more than the widely used aluminium and galvanized steel gutters that are typically installed on homes. Copper is probably the most durable material for gutter systems because it is one of the stronger metals. Copper is suitable for just about any region, and it will never rust. Even though copper will never rust, it will oxidize over time and gradually change colors due to exposure from the elements unless it is treated. Many homeowners may not like the transformation of colors that will occur as copper oxidizes. When first installed, copper gutters are golden and shiny. Unless they are treated, that look will only last for a couple of months before exposure to an acidic atmosphere causes the copper to change colors. The oxidization process causes copper to transition from a shiny metallic bronze to brown, then a darker brown, then a purplish color, until it eventually turns into a greenish color. When acidic moisture comes in contact with copper, a chemical reaction creates a green patina that adheres to the metal to form a surface that prevents any further oxidation. In order to retain the shinny bronze color, a sealant must be applied to copper before installation. There are sealants that are specifically designed to prevent copper oxidization. The cost of gutters is typically priced per linear foot, but that does not necessarily include the cost of installation. When determining the cost of installing a copper gutter system, you need to consider the price per linear foot of a copper gutter and also the cost of all other necessary components to complete a gutter system, such as downspouts, brackets, corner joints, end caps and gutter guards. 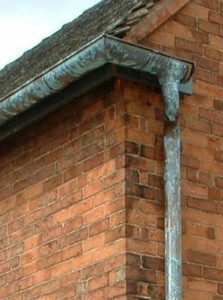 If you are considering adding a copper gutter to an existing aluminium or steel system, you need to ensure that the compatibility issues associated with connecting unlike metals are addressed. Otherwise, you will need to consider the cost of installing a complete copper system. Copper gutters cost range from $12 to $25 per linear square foot whereas aluminum and steel range from $3 to $8 per linear foot installed. There is also a faux-copper gutter that is about $9 per linear foot installed. Some roofers will cut copper gutters to measure and others will install gutters using sections of material. Unlike with aluminum sectional gutters that need to be sealed with a gutter sealant and then re-sealed at regular intervals to prevent leakage, sectional copper gutters need to be soldered together at the seams. Copper gutters, like all other types of gutters, are susceptible to clogging from leaves and other tree debris. You can pay to have a gutter cleaning service remove the debris from your gutter, or you can invest in gutter guards to prevent debris from gathering in your gutter in the first place. Gutter guards are optional components of a gutter system and they are usually priced separately from what copper gutters cost. Gutter guards require proper installation with materials that won’t cause rust and corrosion. Leaf guard reviews suggest that leaf guard is one of the more trusted sources of copper gutter guard installations. In addition, they help prevent moisture conditions that are conducive to termites, and properly designed gutters can protect against ice damming in cold climates. 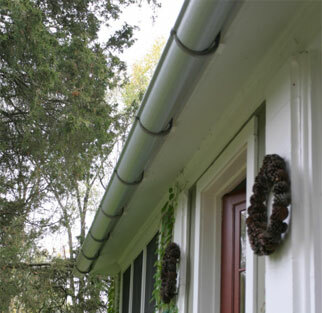 Before 1960, most gutters were made of wood and metal, and they were (and still are) known as half round gutters because they were made in that shape. During the 1960s, rolled-form metal gutter technology allowed metal gutters to be made lighter and at a lower cost. 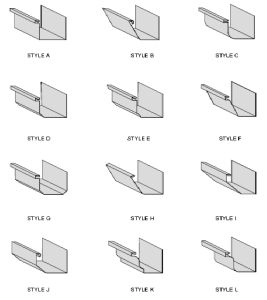 There are two main types of gutter systems; sectional and seamless. 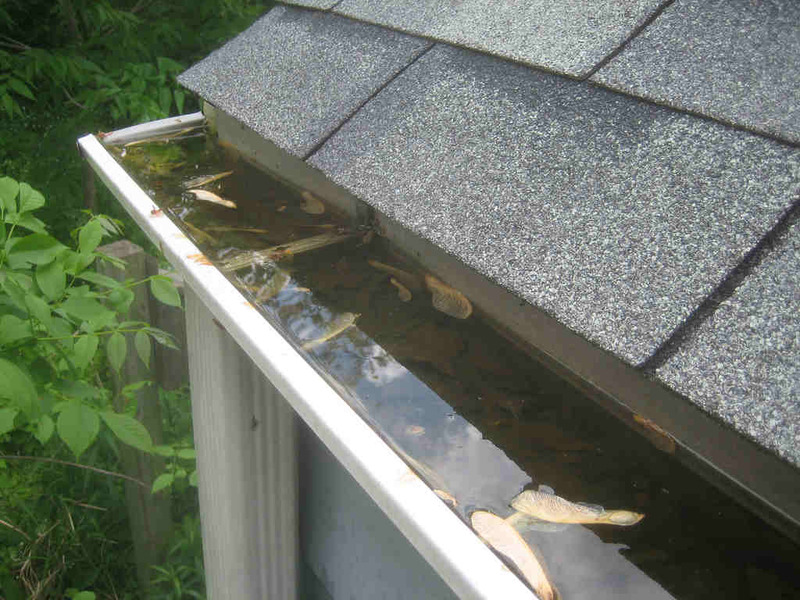 Sectional gutters are considered easier to install, but are more likely to develop leaks. Gutter materials have advanced over time, with roll-formed gutters now available in copper, aluminum, galvanized and painted steel. Vinyl snap-together gutters are often used in the DIY market because they’re easy to install (the tradeoff being increased possibility of leakage), while wood gutters can be made of either cedar or redwood. All gutter styles are usually sized according to the amount of roof area that must be drained. Five-inch wide, K-style gutters are the residential standard, with six-inch K style gutters used for larger roofs. Half-rounds are typically sized one inch wider than K-style to provide the equivalent capacity. Leaders are basically downspouts that work together with gutters to collect rainwater from the roof and direct it away from the foundation, using leader extensions, splash blocks or underground drain lines. 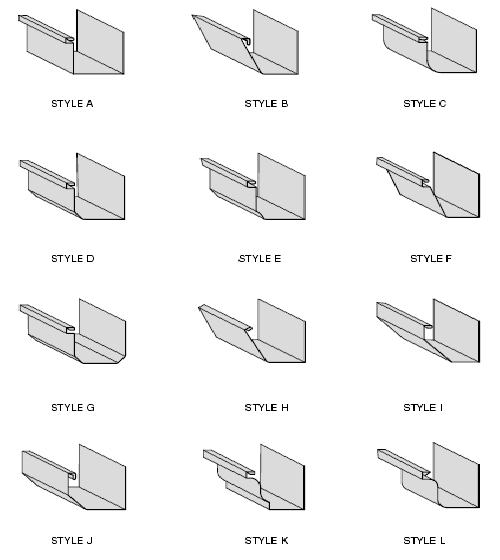 Leaders are typically rectangular, and leaders and gutters are normally made of the same material as the gutter to prevent destructive galvanic actions. Leader diameters are usually sized according to the roof area of the building, with a 2 X 3 inch leader sufficient for 600 square feet and a 3 X 4 considered adequate for 1200 square feet. The typical leader size for a 5-inch K-style gutter is 2 X 3 inches, but a 3 X 4 is less likely to become clogged and is easier to clean out. 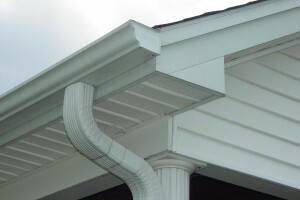 Leaders often need elbows to make turns around corners and under soffits, and gutter fasteners are usually required about every four feet, with two straps required for each leader. Concealed fasteners have become popular because they are easier to install. The connection points between gutters, leaders and storm drains require ongoing maintenance to keep them free of leaves and debris and ensure the integrity of the connection. Some gutters offer filtration technology such as micro perforations that block large debris from sticking to the screen while efficiently clearing water into the gutters. In addition, home centers offer a variety of gutter guards that can be installed on gutters to help keep debris out. Guards come in several different materials using slightly different designs, from slotted or perforated vinyl or metal extrusion to nylon mat filters. Snow guards should definitely be used in cold climates to prevent gutter tear off. How much do gutters cost? To a large extent, it depends on geography and the choice of materials. Vinyl is the least expensive, and seamless vinyl gutters can be installed for as little as $3 a foot in some areas. The approximate cost rises according to the cost of the material. Aluminium tends to run from $5-$15 per foot, steel from $16-25 per foot, and copper from $30-40 per foot. Guards can cost from $0.50 – $10 per foot depending on material and quality. The average residential home has 120-250 feet of gutters, so calculate accordingly. In addition, it can cost an extra $40-100 to haul away old gutters. Gutter contractors are the final part of the cost equation, typically adding $3-10 per foot to the installation cost. Two rules of thumb tend to apply: the more durable the material, the more difficult and expensive it is to install, and the cost of the installer will be about three times the price of the materials. The ability to offer and install an appropriate array of materials.